If you’re looking for dog training in Atlanta and the surrounding communities, look no further! Peachtree Dog Training commits to achieving results with your dog… just ask our clients! Check us out on Yelp too! We cannot thank you enough for how much you have helped us and Leia. I remember 4 months ago when we called you thinking to myself “if this doesn’t work I’m afraid we are going to have to find her another home” and then crying and feeling sick to my stomach, etc. We simply could not have gone on the way that we were. And now we are all so much happier!!! You gave us a way to communicate and saved us from heartbreak. I know that may sound dramatic but if you recall Nick and I were hesitant…our last trainer attempt was unsuccessful and being new parents money is tight. But we were talking about it just after our last session, and how it was the best investment we could have made bc what you gave us is priceless. Thank you. You have changed our lives. Progress! Only took 6 months to snuggle the cat rather than terrorize. Jezzie & Saber! The best thing about working with Christina is that she works to train you and your dog. She is always helpful and spends as much time as she needs to make sure that you and your dog are happy. I learned how to better handle my dog, and we are both happier for it. I continued to apply the techniques that Christina taught me on a regular basis and today I have a dog that we can leave alone in our house where before we could not even leave him in a room alone for five seconds without him chewing/destroying something! Thanks Christina, if you ever need a referral, feel free to use me! Christina is a very competent, patient and knowledgeable trainer. Several of the dogs that went through the initial training are also day boarders and/or regular boarders with the Bark. We have noticed a significant improvement in their behavior as it seems like a remarkable transformation has occurred. Christina was great at responding to owners questions, working with them in a group and one on one as well as revisiting issues that were of importance to assisting owners with the proper training of their pets. Further, Christina’s training regimen consisted of the utilization of positive reinforcements and a reward system which worked extremely well. At the end of the 5 week training sessions, owners were notable excited about the improvements in their pets behavior. In the final analysis, not only do we highly recommend Christina Dore and Peachtree Dog Training but look forward to our continuing relationship with them. Christina…..you rock!!! Christina Dore is a Godsend to the training community. She is dedicated to what she does and her methods yield excellent results. 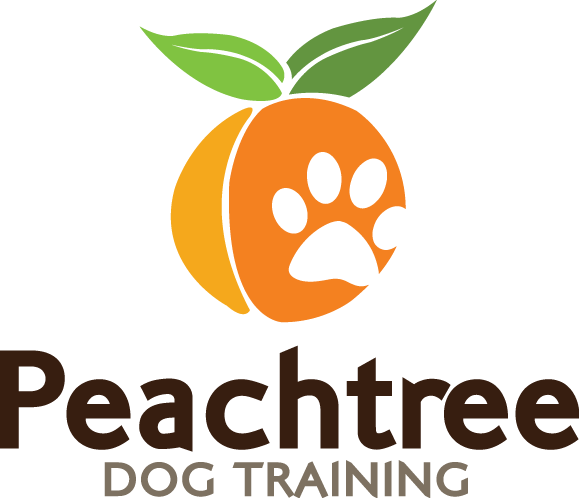 We are happy to refer our clients to Peachtree Dog Training! A short week or so after we got our Mountain Feist puppy Bella, I scoured the internet for a good place to help us train the newest member of our family. I cannot tell you what a miracle it was to find Christina & Peachtree dog training. She just cares so much and always takes the time to go over any of our questions. (And as new puppy parents, we had a crap ton of questions!) One of the best things is that Peachtree Dog Training offers commitment-based dog training and we now have a “trainer on retainer”. We couldn’t be happier with the amazing progress our dog has made on the puppy program. It was such a wonderful experience with Christina since we identified the things we wanted to accomplish and made a plan of how to get there. We have a well behaved puppy and now with the knowledge we have gained from Christina (and our training manual) she will become a well behaved DOG! They are amazing and Christina is such a joy to work with! On top of that, she has a great personality and is an awesome trainer! She’s very down to earth and so easy to discuss things with! Highly recommended and will continue to do so with anyone I meet! Christina and the program at Peachtree dog training is not only the best value for your hard-earned dollars but you also gain the peace of mind you have a trainer that wants to see your dog achieve the goals you set at your first meeting just as much as you do. Don’t hesitate to call them and start your puppy on the right path today! I took Beemer to the vet this morning for his annual check up and shots. They were amazed (as was I) at how good he was! Different dog…so proud! Thank you Christina! Roscoe is doing incredible!!!!!!! Barely pays the baby any mind. We introduced them a few times and now he’s asleep in front of the pack and play. When she cries we ask him to get in his place so he doesn’t get anxious and he does until he is released! He’s doing PERFECT! We’ve had many one-on-one training sessions with Christina, and I’m pleased to report that Moxie is housebroken with much better manners and training! Christina is a highly competent trainer who takes the time to train your dog and you! Training your dog requires a lot of commitment on your end, but Christina gives you the tools, motivation and assistance you need to succeed.